We haven’t seen a lot of Android Go phones till now except for a couple of phones from Nokia and few from companies like Huawei, Alcatel, General Mobile etc. 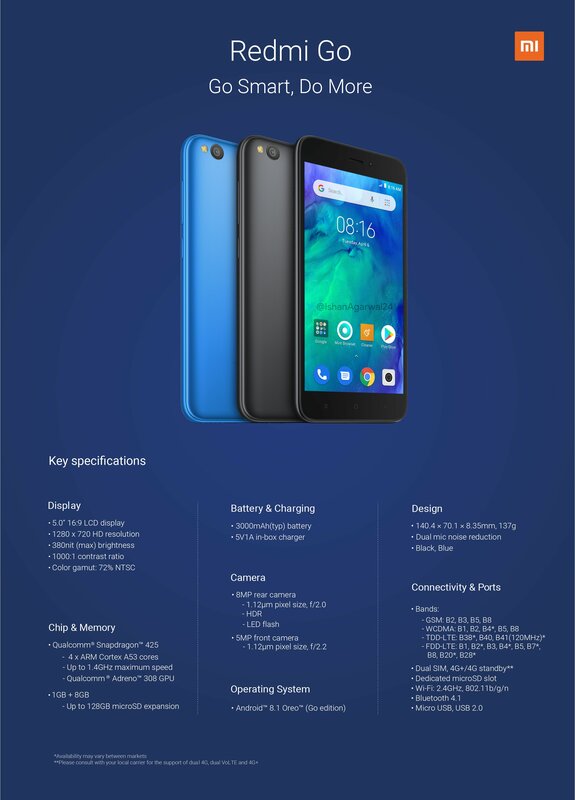 Now, Xiaomi is all set to launch an Android Go phone under the ‘Redmi’ sub-brand named Redmi Go. Today, the full spec sheet of the phone leaked along with the press image that left nothing to the imagination. 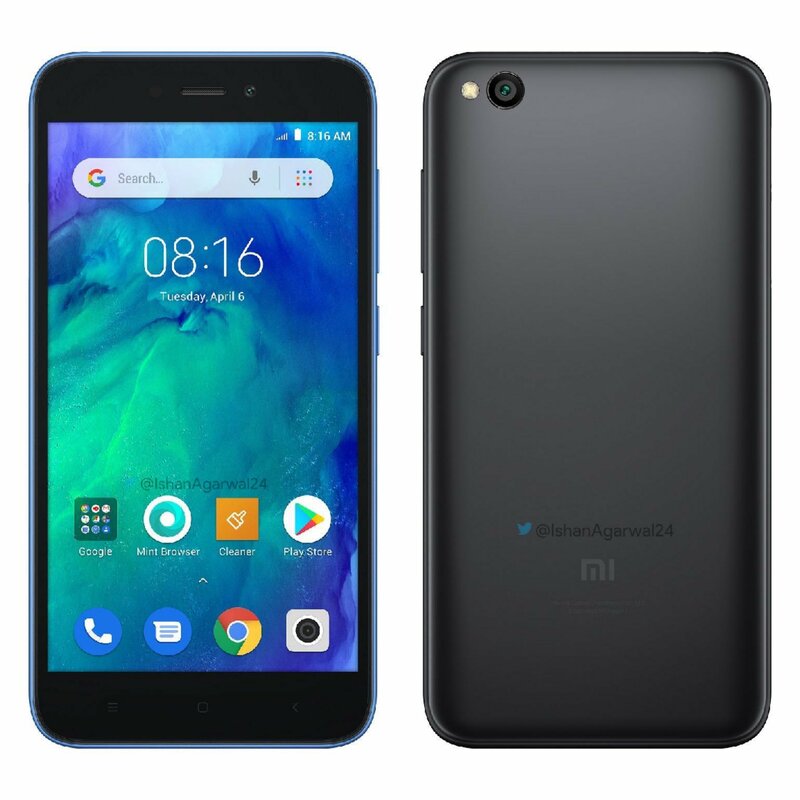 As the image above shows, the Redmi Go has a normal design with a 16:9 display on the front, huge bezels all around, a single camera on the back and a plastic build. So, there is nothing fancy regarding the design. Coming to the specs, the phone has a 5-inch HD display with 16:9 aspect ratio, 1000:1 contrast ratio, and 380nit maximum brightness. The processor under the hood is the Quad-Core Snapdragon 425 processor with Adreno 308 GPU. There is 1GB RAM and 8GB ROM. Also, the phone has a dedicated micro SD card slot that accepts micro SD card of up to 128GB. Android 8.1 Oreo Go Edition runs out of the box, and there is a 3,000mAh battery that charges via 5V/1A charger provided in the box. 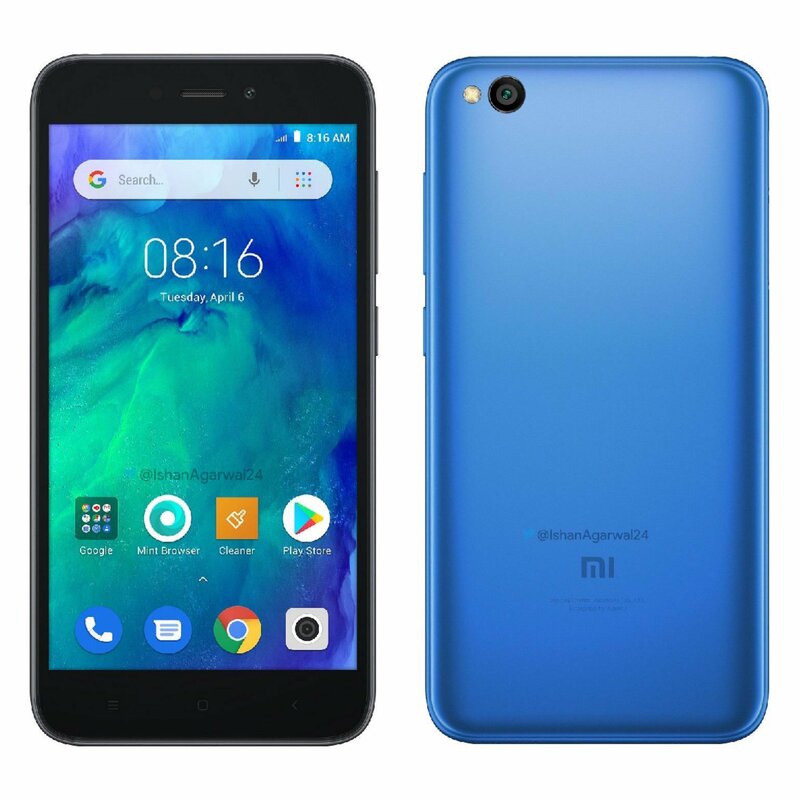 The Redmi Go will launch in Black and Blue colors, and the pricing is not yet known. Recently, the official Facebook page of Xiaomi Philippines teased the launch of Redmi Go, so it looks like the phone is launching in the Philippines first and then in other markets.